The tempo echoes through the Vassar College varsity weight room on a typical day for Vassar’s new strength and condition coach David Young. Coach Young took on this role over this past summer after spending three years as one of the strength and conditioning coaches for the San Francisco 49ers. Prior to his stint with the Niners, Young coached at both University of Iowa and University of Memphis. The transition from the strength and conditioning staff of an NFL football team to that of Vassar College is a big one, but Young has truly enjoyed the process of beginning his new role at Vassar thus far. “The student-athletes have been enjoyable to work with and receptive to coaching. Our coaching staffs have been a huge asset in helping me understand how we can best serve the needs of the student-athletes at Vassar,” he said in an email. Young is excited about the opportunity to do what he does best. “ My goals for the student-athletes that I coach improve [athlete’s] performance in their sport and decrease their likelihood of injury as part of a personal growth process,” he said. For Young, weightlifting has always been a passion. What began as lifting weights with his father at the YMCA grew into a high school training regimen that landed him a spot on the football team at Central College in Iowa. After a strong career there, Young earned his Masters of Arts in Sport and Leisure Commerce from the University of Memphis and began his career as a strength and conditioning coach. Young cites Charles Poliquin, Chris Doyle and Kurt Schmidt as significant influences on his career and his philosophy about strength training. One of Coach Young’s major focuses in athletic training has nothing to do with weights, cardio or sports at all. “Good training is a relationship-based process that best prepares athletes for the demands of their sport. In my experience, the foundational step in developing productive relationships with athletes is establishing trust,” Young said. It is this emphasis on relationships and trust that has had Vassar’s student-athlete community buzzing about Coach Young. Junior infielder for the baseball team, Alex Hartnett, had only positive things to say about Coach Young. One of Young’s training methods that is new to Vassar student-athletes is called tempo training. Athletes perform common weightlifting movements such as squats, but each part of the movement is timed. Using the example of the squat, athletes deliberately lower themselves until their thighs are parallel to the ground over a three-second interval. The next part of the movement is a two-second pause at the bottom of the squat. Finally, after five seconds that feel like an eternity, the athlete explodes upwards to a standing position. Several other exercises such as rows, pull-ups, and Romanian deadlifts are performed with the same tempo. Naturally, there is a strong why for this intense training. Young says that this is beneficial because it requires athletes to “own” every inch of the movement, which makes them more aware of their body and its compensations. 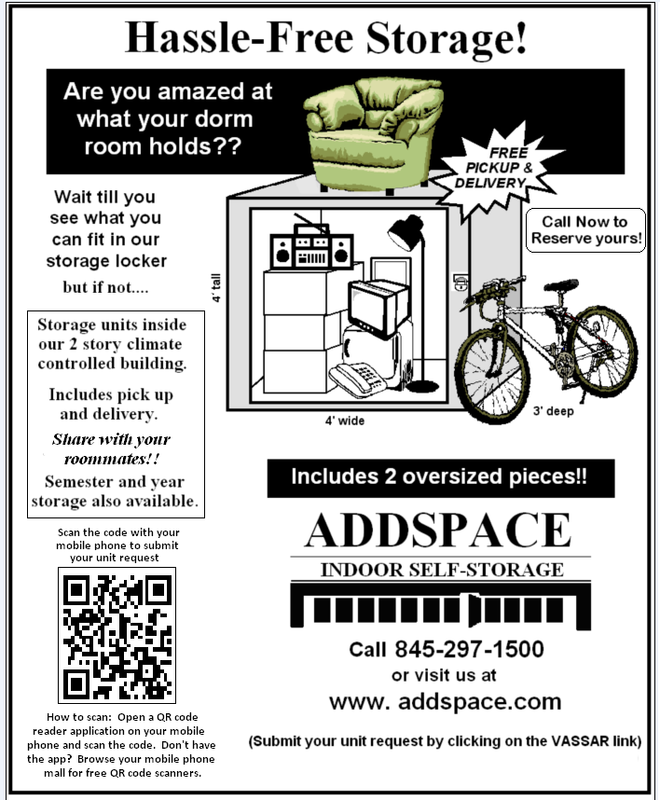 Despite the added difficulty, athletes on campus are enjoying the new style. Coach Young has gotten off to a great start training Vassar’s athletes, and athletes will only continue to improve once they have completely adjusted to the coaching switch. 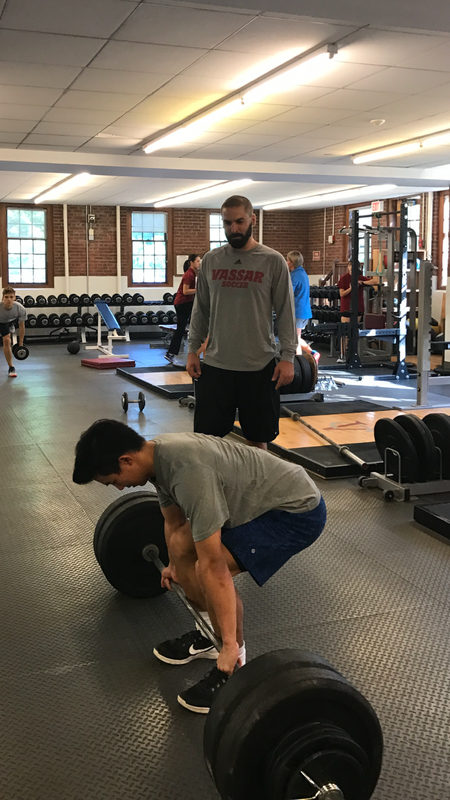 Though the year is still “Young,” it appears the new strength coach will be able to take Vassar athletics to new heights.